Over 100 years ago, a 17 year old Swiss immigrant, Fredilino Lafranchi, left his home in Maggia, Switzerland to come to America with the dream of owning and operating his own dairy. 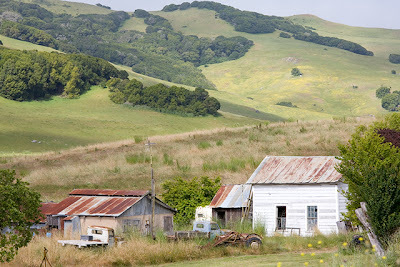 He married Zelma Dolcini, from a long-time dairying family, and they made their home on a 1,150 acre ranch in Nicasio in northern California. Their son, Will, maintained the farm and raised six children there. Over the years, Will Lafranchi made many trips back to the Maggia valley, his ancestral homeland in the Swiss canton of Ticino, to visit relatives. 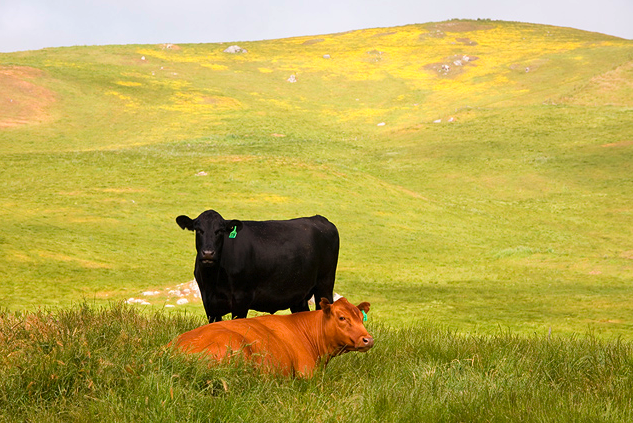 He admired the mountain cheeses they served him and dreamed of making similar cheeses on the ranch, but never did. After his death in 2002, his children pursued the dream more vigorously. They tracked down a cheesemaker in the Maggia valley, Maurizio Lorenzetti, whose wares they liked and persuaded him to come to California and mentor them. Lorenzetti helped the family devise recipes for several Swiss-style cow's milk cheeses and taught Scott Lafranchi, one of Will's sons, how to make them. 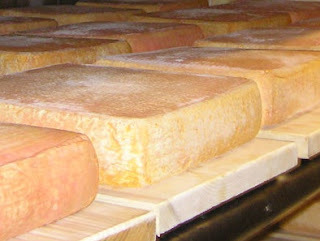 Nicasio Square, a Taleggio-like washed-rind cheese, is one of six cheeses in the company's repertoire. It is a 4-pound square, standing about an inch tall, with the thin, tacky, salmon-colored rind typical of cheeses that have been washed repeatedly with brine and flavor-inducing bacteria. Over the 30-day maturation, the bacteria produce that signature washed-rind fragrance, that is far more pronounced than the taste. The interior is semisoft, with a uniform pale-butter color and many tiny eyes. It isn't as supple as a ripe Taleggio nor as bold in flavor. The salty rind adds a pleasing crunch, so don't cut it away.